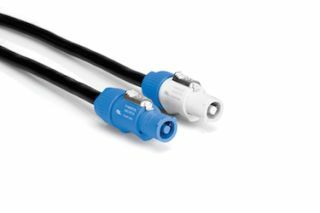 The What: Hosa Technology has introduced two new series of power cords featuring Neutrik powerCON connectors. The Hosa PCN-200 and PWN-200 Series Power Cords combine Hosa dependability with the safety of the Neutrik powerCON connector to create a cable designed to handle the high-power equipment today’s stage environment. The What Else: Hosa’s power cords are designed specifically for gear outfitted with Neutrik powerCON connectors. PWN-200 Series Power Cords are designed to carry power from a normal wall outlet to a powerCON-equipped device. For those using power distribution boxes equipped with powerCON outputs, PCN-200 Series Power Cords feature powerCON connectors at both ends and are also ideal for daisy-chaining multiple devices. Featuring 12 AWG, Oxygen-Free Copper (OFC) conductors, PCN-200 and PWN-200 Series Power Cords provide increased current flow to ensure devices receive the necessary amount of power for appropriate operation. PCN-200 Series Power Cords have a maximum operating voltage of 250 volts while the PWN-200 Series is rated up to 125 volts. Both, PCN-200 and PWN-200 series are listed to applicable UL standards and requirements. The Bottom Line: Hosa Power Cords with Neutrik powerCON Connectors are available now. MSRP ranges from $95 to $160 for the PCN-200 Series and $80 to $190 for the PWN-200 Series.